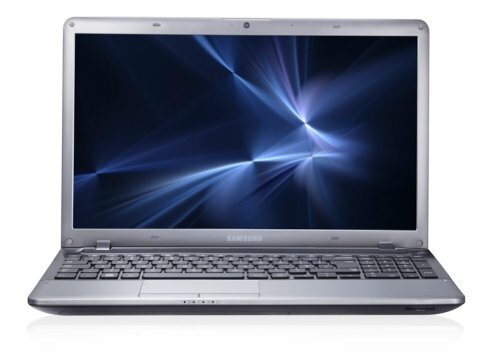 Below is our review of the Samsung NP355V5C, a 15.6" laptop, featuring 8GB RAM, 1TB hard drive and Windows 7. The AMD A10 4600M processor runs at 2.3GHz, and together with the 8GB of DDR3 RAM fitted, this laptop runs at a pretty good rate - start up is very quick - the system loads fast from cold. We found the battery life to be fairly good too - at around five hours during web, work and gaming use - though you can increase this slightly by using Samsungs built in power saving tools. Samsung's anti-reflective LED screen offers a good picture - as you would expect from a manufacturer that also specialises in manufacturing televisions - the colours appeared rich and vivid, and our testers found the picture quality to be sharp. From an audio perspective, the speakers were quite good for a laptop - although obviously not as good a a set of dedicated speakers, it was more than acceptable. The keyboard was both comfortable and easy to type on, and we can't see any comfort issues with working on this notebook for longer periods of time. Likewise the touchpad offered good control over the laptop - a good size, and situated slightly to the left of centre, in line with the centre of the keypad. A full sized numerical keypad situated to the right of the letter keys is handy for the number crunchers amongst us, such as accountants. Storage wise, Samsung have provided an extremely generous 1TB hard drive - offering a substantial amount of storage for all of your software, work, music and movies - more than enough room for the vast majority of users. From a design perspective, the NP355V5C looks great - a modern design - stylish and with clean lines - with very little flex, this notebook feels solid, and like it can put up with daily wear and tear without breakage. Overall is measures 24.3cm by 37.3 cm by 3.3 cm - so small enough to be highly portable - ideal for those who require a notebook whilst out and about. In terms of connectivity it offers 2 x USB 3.0, 2 x USB 2.0, HDMI output, VGA, Ethernet, Headphones, microphone, DVD and card reader. Cons: Cons: Webcam isn't amazing - asides from that no real quibbles. To conclude - an excellent mid priced laptop from Samsung, with a decent spec, offering very good value. Extras: DVD SuperMulti DL and Webcam.